In the entire hosting scenario, none of the hosting solutions offer the higher degree of control, power & potential as offered from VPS technology. Yes, there is the dedicated server solution with enormous control for the sole user but it’s the lower price tag of VPS that places it over the dedicated solution today. In case you are looking for some serious website performance but are unable to afford a dedicated full-blown server, VPS holds the answer for you. Here is a small brief on the perks of VPS hosting. 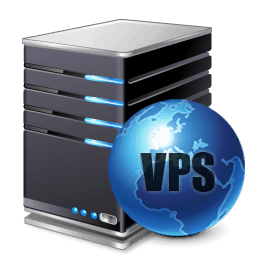 VPS hosting assures incredible value. Whilst the dedicated server is usually expensive charging around 100 USD a month, VPS hosting is just little over shared hosting when it comes to pricing. The very cutting edge design of the VPS technology enables efficient distribution of software, hardware, maintenance & network connectivity, sans any compromise on quality. VPS hosting is the ideal answer for you when you are worried about the security and safety of data. The very state of the art design of VPS technology makes it way safer to shared hosting. Just think about the situation- virtualized hosting removes all the shared joints in between you & other users. When you are into the cheap-priced shared option, you are directly linked to the server neighbors that permits almost anybody to get into your server, disrupting the security concerns greatly. But in case of VPS, you have your private data, completely safe from anybody’s sight. Finally, when you have opted for Virtual Private Server hosting, you will be benefitted with much more power in comparison to shared hosting solution. Besides, as the VPS server embodies virtualization of hardware system, the user here secures better control on internal operations of his system, than what was possible in shared hosting service. It implies more control, more flexibility, better security & way better performance for the user’s site & the end users. It in fact, is the crucial most reason why the hosting experts today mostly recommend the Virtual Private Server hosting service to the small scale business owners. Should you go for VPS Hosting? Now, no matter how much excited are the hosting experts about the cutting edge VPS technology, before you invest on it, you must ask yourself this: Is it the right fit for me and my business?” First check out some reviews before going to a company. Also, virtualization hosting functions almost akin to dedicated server & you would be required to invest a huge lot of time for its maintenance. So, check out beforehand whether you can actually allot such amount of time for your server. Moreover is costlier to shared hosting. But then again, if you are really concerned about a solid performance and you don’t bother about the maintenance time and little high cost, there cannot be a better solution than VPS hosting.